New tests at China’s Experimental Advanced Superconducting Tokamak (EAST), sometimes referred to as an “artificial sun”, achieved an electron temperature of over 100 million degrees - about seven times greater than the interior of the sun. The machine heats hydrogen to high temperatures, forcing it to become plasma. Magnetic fields keep the plasma contained inside the reactor’s toroidal internal chamber. The plan is to create a new energy source similar to the inside of a star, in which hydrogen fusion processes release large amounts of energy, but with non-radioactive byproducts. Some of the molecules inside EAST did fuse and release energy, but the reactor continues to consume vastly more power than it creates. The Hefei Institutes of Physical Science of the Chinese Academy of Sciences activated the EAST reactor in 2006 to run fusion experiments. In the most recent experiment, researchers combined different heating methods to hit the 100 million degree target. These methods included lower hybrid wave heating, electron cyclotron wave heating, ion cyclotron resonance heating, and neutral beam ion heating. 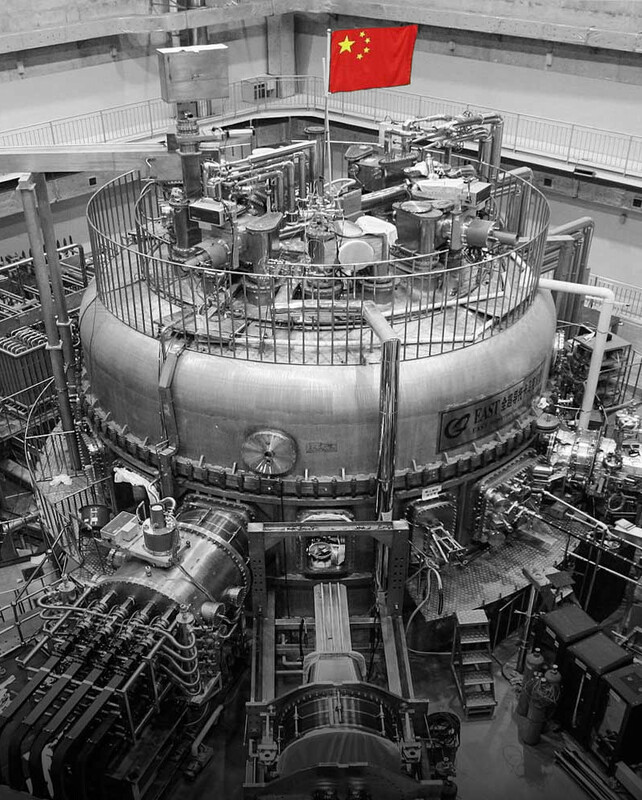 The researchers successfully trigger fusion inside the reactor, and held their maximum temperature for about 10 seconds.